Save 27% off the regular price! 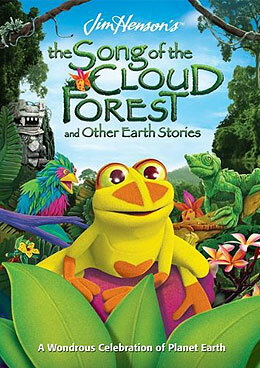 Pre-order "Jim Henson’s The Song of the Cloud Forest and Other Earth Stories" on DVD. By pre-ordering you're guaranteed the lowest possible price. If the cost is reduced before the release date, you'll get the additional savings automatically. Celebrate the coming of Earth Day on April 22, 2010 as Lionsgate Home Entertainment releases Jim Henson’s The Song of the Cloud Forest and Other Earth Stories. Available for the first time ever to nature lovers of all ages, the DVD features a vibrant blend of music, puppetry and animation in a unique collection of four heart-warming and informative tales that revel in the wonders of our planet and its diverse abundance of life. Featuring The Song of the Cloud Forest, which stars a brightly colored cast of puppet animals gently teaching lessons about the real dangers threatening the survival of both the rainforest and its inhabitants, the DVD also includes top environmentally themed episodes of The Jim Henson Company’s popular Fraggle Rock as well as Animal Show with Stinky and Jake. The DVD is a great value and the perfect Earth Day gift, certain to be loved by both children of all ages and adult fans nostalgic for classic titles from The Jim Henson Company. Jim Henson’s The Song of the Cloud Forest and Other Earth Stories will be available on April 13, 2010 for the suggested retail price of $12.98. 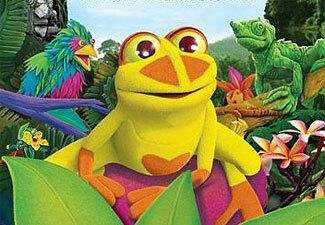 Milton from "The Song of the Cloud Forest" available on DVD April 13. Originally airing in 1989 as part of NBC’s “The Jim Henson Hour,” The Song of the Cloud Forest earned critical acclaim with an Emmy nomination for “Outstanding Children’s Program.” It was also the recipient of the Certificate of Merit from the Chicago International Film Festival as well as recipient of the Best Achievement in Entertainment Series from the International Monitor Awards and the International Teleproduction Society. Jim Henson’s The Song of the Cloud Forest and Other Earth Stories contains four stories featuring some of Jim Henson’s most beloved characters that take viewers of all ages on explorations of our extraordinary world and its most fascinating wildlife. A blend of music, puppetry and animation resulting in a vibrant landscape of color that echoes the natural beauty found in the real world's rainforests, The Song of the Cloud Forest features a brightly colored cast of puppet animals celebrating the beauty of and discovering the real dangers threatening the survival of both the rainforest and its inhabitants. Followed by three environmentally-themed episodes from The Jim Henson Company, including:Animal Show with Stinky and Jake: Owl & Frog, Animal Show with Stinky and Jake: Kangaroo & Frog, and finally Fraggle Rock: River of Life where the Fraggle’s water supply is contaminated by the Silly Creatures, and only Boober can save the day!